Waterford- Mary Ann Kearns LaSure, 90, passed away peacefully on August 13, 2018 at Daughters of Sarah Nursing Home in Albany. The daughter of the late Frank and Mary (Ports) Kearns, she was born on May 19, 1928 in Troy, NY. She was the wife of the late Floyd E. LaSure and sister to the late Frances Faraci, Eileen Cunco and Alfred Kearns. She is survived by her son David LaSure of Vero Beach, Fl; her grandchildren: David M. (Angelina) LaSure of Delmar, Tammy LaSure of Cohoes and Daniel A. (Fanta) LaSure of Cohoes; 5 Great-grandchildren, 4 Great-great-grandchildren and several nieces and nephews. Mary Ann loved animals of all kinds and welcomed many into her home. 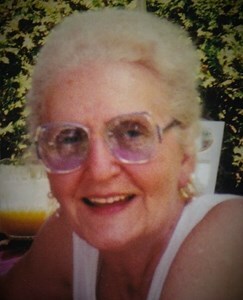 She enjoyed the outdoors, keeping her garden and swimming in the summer. Mary Ann had the voice of angel and loved to sing. Burial will be on Monday, August 27 at 11 am at Gerald BH Solomon Saratoga National Cemetery, Schuylerville, NY. In lieu of flowers, memorial contributions may be made in Mary Ann’s name to the Mohawk Hudson Humane Society, 3 Oakland Ave, Menands, NY, 12204. Add your memories to the guest book of Mary Ann LaSure.